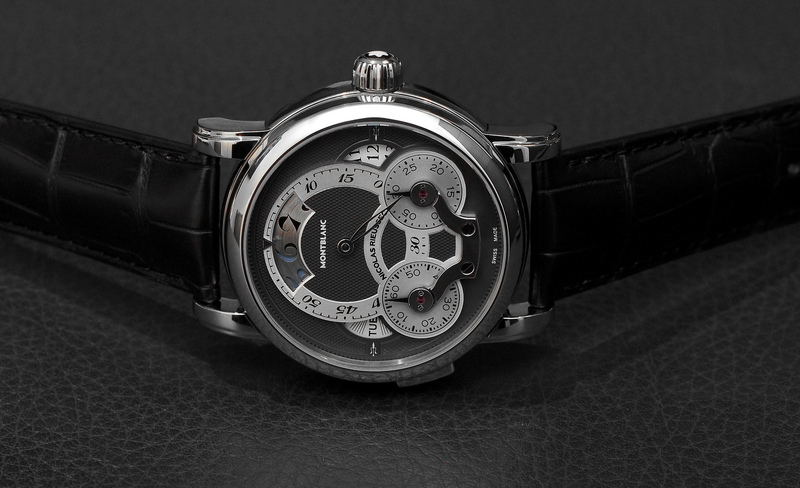 Introduced at SIHH 2013, the Montblanc Nicolas Rieussec Rising Hours Chronograph is the newest model within the brand’s Nicolas Rieussec chronograph collection, which was first launched in 2008. 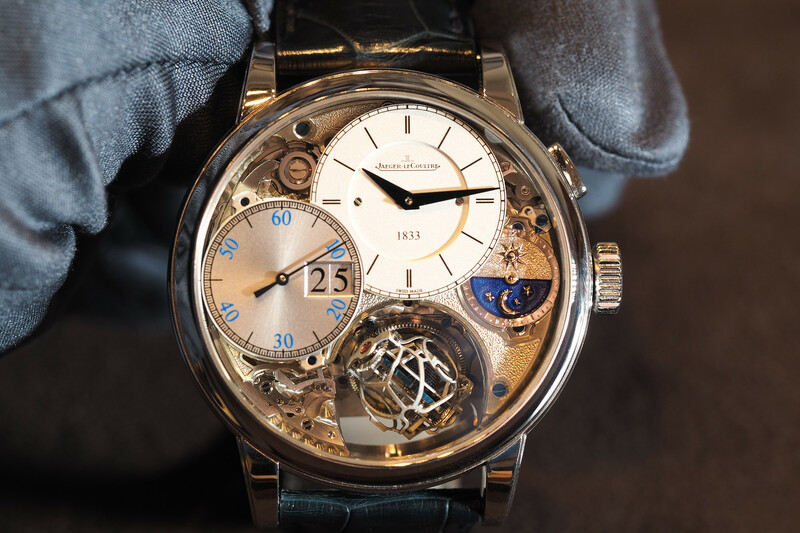 The Rising Hours is presented in a fully polished round Nicolas Rieussec case that measures 43 mm by 15.30 mm. Available in 18K rose gold, platinum, stainless steel or platinum (limited to 28 pieces). Inside, is caliber MB R220, an in-house self-winding mechanical movement with twin power barrels. 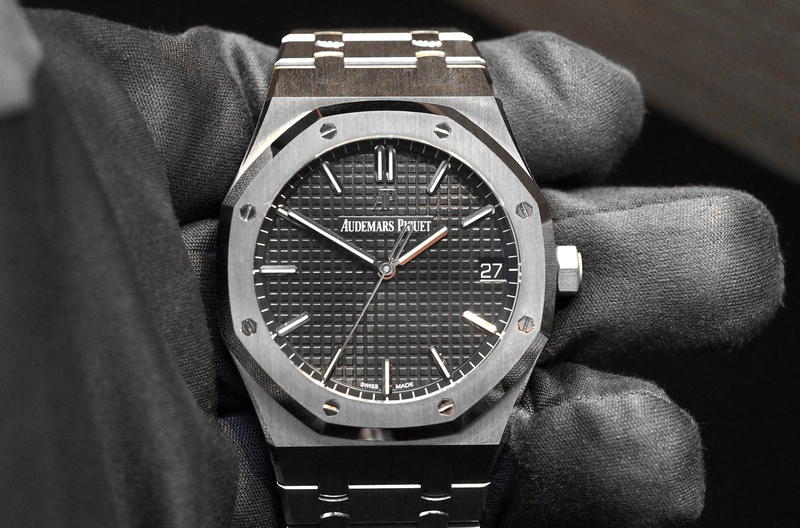 The movement has 343 components, 42 jewels, a 72-hour power reserve and operates a 28,800 vph (4 Hz). Finishing is first rate: the main plate is rhodium plated with circular graining and the bridges are rhodium plated, with Geneva stripes. The movement features an integrated column-wheel chronograph with vertical disc clutch. Functions include hours and minutes, including a digital hour display with integrated day/night indication, day indication at 9 o’clock, date indication at 3 o’clock. Power reserve indicator on caseback. A single (mono-pusher) at 8 o’clock on the case band activates the chronograph, which displays 60 second and 30 minutes on rotating discs with motionless hands (in the lower half of the dial), a signature of the Nicolas Rieussec line. The dial is grey or silver colored, with a beautiful Grain d’Orges guilloche pattern. A grey minute sits off center at the top of the dial, with a skeletonzied hand to indicate minutes. Two discs with motionless pointers indicate the chronograph minutes (30) and seconds (60). The marquee feature, the Rising Hours function, is a “wandering hours” indication, with an integrated patented day/night mechanism. Like a jumping hour indication, wandering hours are displayed via a digit/number that is on a set of discs that rotates, while the hand/hour indicator stays fixed in place. A wide aperture at 12 o’clock shows Arabic numerals 1 through 12, with an arrow the indicates which hour it is. A twelve hour disc turns above the bicolor day/night disc, which is half blue and half black, the black representing day and the blue representing night. The twelve hour disc rotates continually, while the day/night disc turns in intervals, at a variable speeds to display day or night through the cut-out numerals. 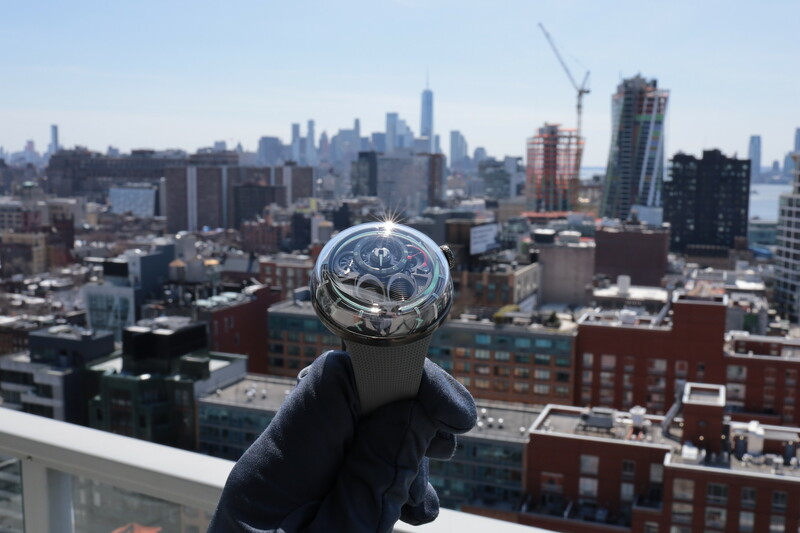 “This complex motion is controlled with the aid of a Maltese cross mechanism consisting of two cam-like wheels. One of these cams is mounted on the propelling staff of the day/night disc; the other is affixed to an extension of the hour-staff. Fluted crown with the Montblanc logo in a mother-of-pearl inlay. Domed sapphire crystal with double antireflective coating. Screwed caseback with transparent sapphire crystal, which reveals the finely finished movement and solid red gold rotor. Alligator strap with triple-folding clasp matching the case. Water-resistant to 30 meters. From the vintage Montblanc inspired motion less chronograph discs, to the mono-pusher column-wheel chronograph, to the digital hour display — the Rising Hours is a great addition to the Nicolas Rieussec collection.